The report – Segmenting the UK Mortgage Market – examines the key issues facing today’s mortgage market, which IMLA says can be thought of as a series of interlinked but distinct markets for first time buyers, moving homeowners, buy to let investors, lifetime borrowers, re-mortgagers and further advances. Assessing the possible impacts of George Osborne’s proposed buy to let tax changes - chiefly the reduction in mortgage interest tax relief to landlords - IMLA argues that a higher tax burden for landlords, which will push some into losses after tax and raise the effective tax rate on their buy to let investment above 100 per cent, may slightly skew the market in favour of owner-occupiers. This is because the effect of the tax change will be to reduce the price that landlords are prepared to pay for any given property. 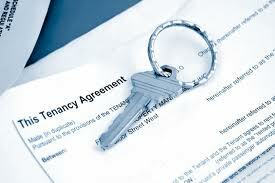 But the association says the risk is that these changes and the threat of tighter buy to let mortgage regulation next year will constrain the supply of available rental properties. This will be happening at a time when IMLA says “the fundamentals of population growth and low housing supply” are driving an increase in demand, and with the still emerging institutional investment sector failing to make up the gap.